When you search for attic ventilation, solar attic fans, turbine roof vents, insulation baffles, roof ridge vents, or attic ventilation fans; Barrier Insulation Inc. installs the highest quality products in Phoenix, Mesa, Chandler, Scottsdale, Glendale, and all of the other cities in the valley. Installation attic vents and insulation baffles helps channel the superheated air out of your attic and pull cooler air in from outside. This keeps your attic, home, and likely your HVAC ducts cooler. For homes where the HVAC ducting does run through the attic the savings can be incredible as the hotter your attic is the less cool air that can make it the rooms in your home. Installing a roof involves more than just slapping some shingles on and calling it good. The importance of attic ventilation means the longevity of your roof. It’s important for both cold and hot climates, like we have here in Phoenix. Attic ventilation plays an important role in preventing expensive repairs from happening to, and under the roof. Some of the key functions the attic vents and fans provide are that they allow fresh, cool air into the attic at the soffit or eaves of the roof. They also allow hot moist air to exit your attic via exhaust or ridge vents. In colder climates that get snow attic ventilation helps prevent the heat from your home from melting the snow prematurely and causing ice dams which can back up water and cause your roof to degrade and eventually leak. Having an expert in roof ventilation and insulation is critical because they can create a balanced approach to attic ventilation. Having just one type or the other can cause the ventilation system to be ineffective. If air can exit the roof via a ridge vent, but has no soffit vents air will not be able to efficiently vacate the attic space. Read about attic ventilation benefits below. Attic ventilation helps by allowing the buildup of hot air to leave your attic and reduces your air conditioning costs by helping your attic effectively be the barrier between you and the sun’s heat. Cool air enters through the soffit vents while the hot air naturally rises up and outside. Most homes in North America are not properly, or sufficiently ventilated. This is unfortunate because it can lead to wasted energy, mold, and premature degradation of roof systems, ice dams, rotting decks, ceiling stains and peeling paint. These are all costly and avoidable repairs. 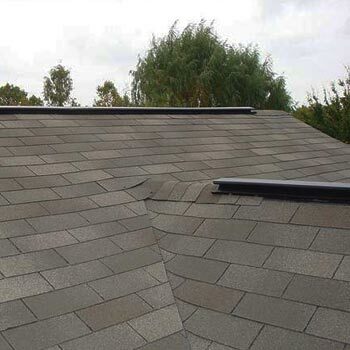 Proper ventilation extends the life of shingle roofs. The high Arizona heat combined with an attic that is no ventilated can actually bake your shingles and age them much quicker than they should. In fact many shingle manufacturers include in their warranty the need for attic ventilation to maintain a homeowner’s warranty. Master Flow Gable mount attic ventilators are a great choice for exhaust ventilation. 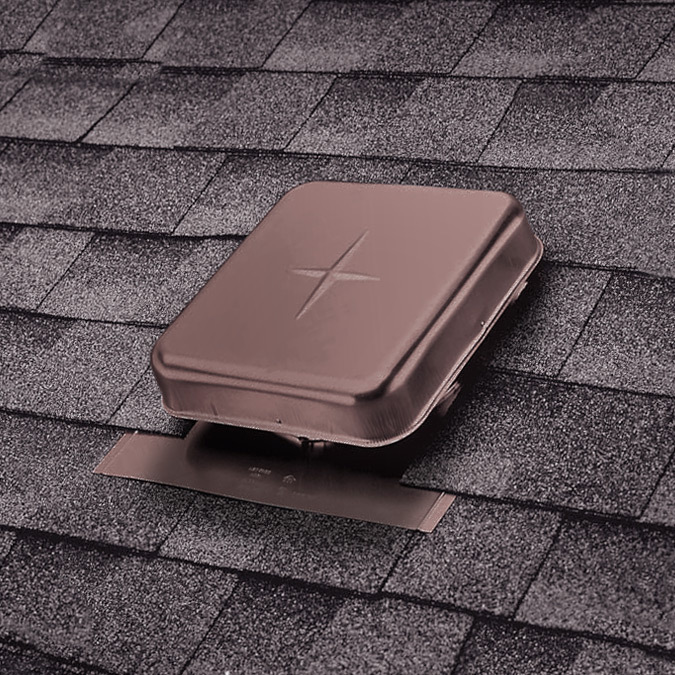 They are the easiest power vent to install and won’t detract from the appearance of your roof. 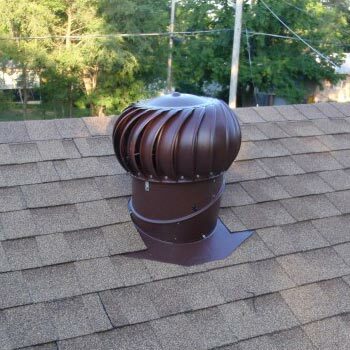 They remove the greatest volume of hot and/or humid air from your attic, saving you more in heating and cooling costs than any other type of ventilation. Turbines come with a limited lifetime warranty. Simply put, you can’t buy a better turbine. The turbine design features permanently lubricated upper and lower ball bearings that ensure long life and no maintenance. Turbines feature a rigid spider-type construction which is riveted at every connection tested for quality and durability. 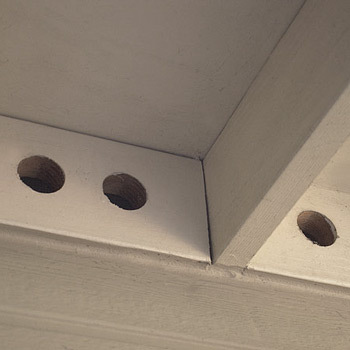 Soffit vents, which are installed under your home eaves, allow fresh air from outside to be drawn into your attic. They keep your home cooler in summer and reduce moisture in your attic during winter. 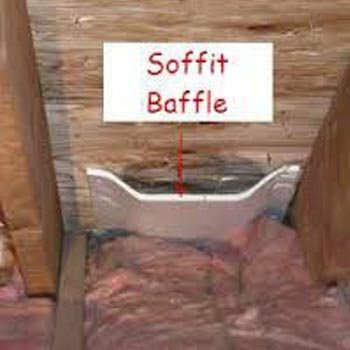 Soffit baffles are installed with soffit vents to prevent insulation from sagging down into the soffit vents and direct the ambient air flow past the insulation and into the attic. They allow the cooler air in. Turbine ventilation are installed on roofs and act as a source of natural ventilation in attics. They are a free spinning turbine which doesn’t use electricity to help evacuate hot air from your home’s attic. 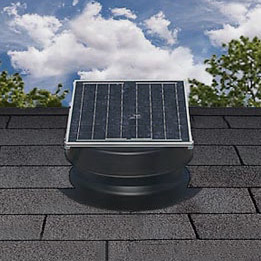 Solar attic fans turn the sun’s rays into power that pulls superheated air our of your attic. This makes it possible for cooler air to enter your attic and keep your home cooler and comfortable. 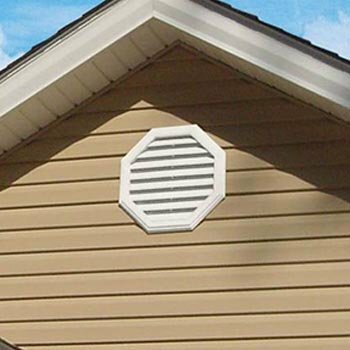 Ridge vents are a non-powered inconspicuous way to allow heat to escape from your attic. You can choose from shingle-over vents or metal ridge vents to help keep your attic and home cooler. Gable fan ventilation are electric but only run when they are needed as they are thermostatically controlled. 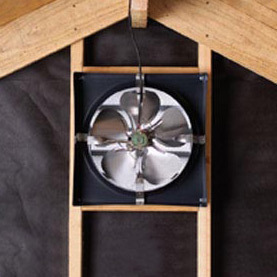 These fans are mounted on flat vertical attic wall surfaces and help remove hot air. Attic vents allow the hot air a route to escape from your attic leaving it cooler in our hot summers. With a lot of home’s HVAC running through the attic keeping it cooler helps the system run efficiently. 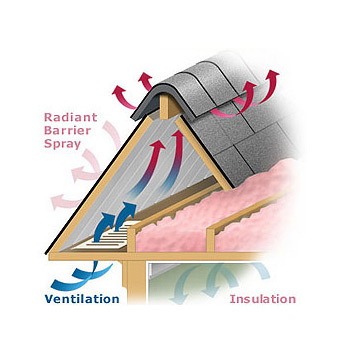 Static ventilation is an attic vent system that doesn’t have a turbine or electric fan. It is a static fan system which allows hot air to naturally vent out of the attic to help reduce temperature.